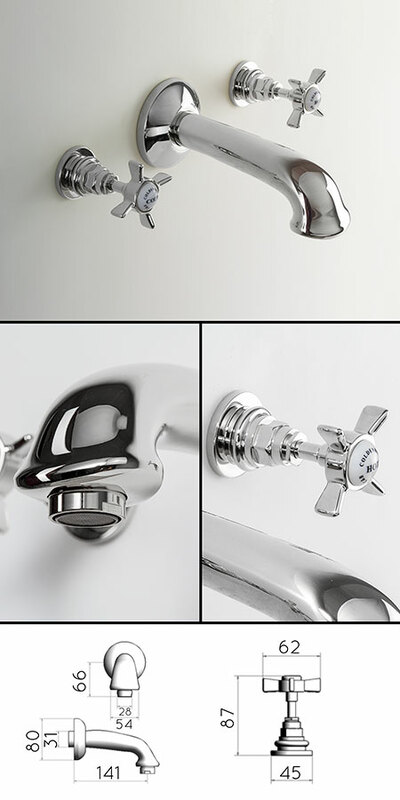 Luxury traditional bath taps designed to be wall mounted. These Victorian styled traditional bath fillers have a separate hot and cold wall taps with an impressive wall mounted spout. Made in solid brass with a thick chrome plating, these traditional taps give a luxury finish to high quality bathroom design. * Traditional 3 piece bath filler. * Solid brass & chrome finish.